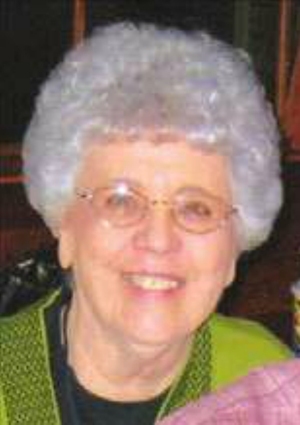 Obituary – Speer, Norma Rose (Ewy-Shoop) « Perry High School Alumni Association, Inc.
Norma Rose (Ewy-Shoop) Speer, 85, departed this life on September 6, 2016 at the Perry Green Valley Nursing Home. Public viewing will be 9AM – 8PM Thursday, September 8, 2016. Funeral services will be at 2:00 p.m., Friday, September 9 at the First Christian Church in Perry. Interment will be at Grace Hill Cemetery in Perry. Services are under the direction of Palmer Marler Carberry Funeral Home, 203 Fir Street, Perry, OK 73077. Norma was born in Perry, OK on September 22, 1930 to Rudolph Ewy and Ann Smith. Norma lived her entire life in Perry. 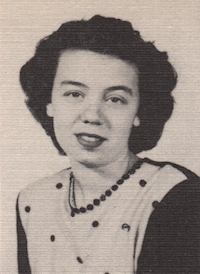 She graduated from Perry High School in 1948 and married Joe Shoop later that year. Norma and Joe were married for 35 years – until his death in 1983. She was single for 22 years and lived a full life with many friends and family surrounding her. She taught the five-year-old Sunday School class for more than 25 years at the First Baptist Church, where she was a member for more than 60 years. In 2004, Norma married Wayne Speer, a longtime Sumner resident. She said many times that God had twice blessed her with two wonderful Christian husbands. She had a servant’s heart and is rejoicing in Heaven with her Lord and all those she loved who have gone before her. Norma was a homemaker who loved to dance and play cards. In fact, she was a member of the “Junior Tuesday at 2 Club” for 50 years. This group was made up of what would become her life-long friends. Norma is survived by husband, Wayne Speer; her son, Vince Shoop and wife, Jamie, of Perry; daughter, Pam Gierhart and husband, Roger, of Katy, TX; step-daughter, Jeannie Schardein and husband, Mark, of Morrison, OK; step-daughter-in-law, Denise Speer, of Stillwater, OK, five grandchildren, three step-grandchildren, four great-grandchildren; six step-great grandchildren; and her brother, Bob Ewy and wife, Margie, of Perry. Norma was preceded in death by her parents, her first husband, her step-son Roger Speer, one brother Bud Ewy, and four sisters: Helen Ingmire, Betty Balzer, Faye Schelenburg, and Delores Moore.